Joomla Day Sydney 2014 is the only scheduled official confrence for Joomla in Australia throughout 2014…which is quite strange seeing as it has had and is in use as a CMS for over 30 million websites….but it is definitely an event that has the whole Joomla community ready for action. Here is the downlow on Eden Brownlee.. he is a Business Entrepreneur, Web Developer & Marketing Consultant, located on the Gold Coast in Australia. His boutique web development firm has been functioning for over 7 years and primarily uses the Joomla! CMS for his own companies and for his Web and Marketing Clients. Not only is he a Developer – Marketing Consultant – Project Manager and Owner/Operator, he is also a certified Funnel Optimisation Expert (trained and certified by digital marketer). And has also undertaken training by many great marketers such as Frank Kern and Perry Belcher. 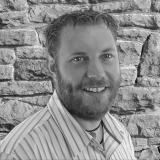 Eden’s passion for Joomla and Web Design is only equalled by his thirst for creating Successful marketing strategies. Only just recently has Eden completed a marketing Presentation (where he also completed a brief Marketing Rocket Reveal and offered limited beta slots for group members) at the Joomla Melbourne Community group. Having built the base of his business around CMS systems he is a strong advocate of open source, and an avid fan of Joomla, Community based projects and Crowd Funding initiatives. Joomla users deserve access to the latest, easy to use marketing tools, technology and techniques available in the industry today. After becoming frustrated with the limited offerings Joomla has to offer in the marketing field, just 6 short months ago, we decided to create our own sales and marketing tool that will help marketers from beginner to pro, create amazing automated sales funnels. Using the Joomla CMS open source framework as a base our team has begun developing a native Joomla 3.x Component that will bring affordable state of the art marketing techniques to all business owners, and create an easy platform to launch marketing campaigns for those with little to no experience. It is our vision to not only creating a piece of software that can enhance any businesses sales and lead generation, but helping to create a community within the Joomla Community that can help drive each other towards success in all avenues of online and off-line marketing, and help the tool to grow and develop along with marketing trends and techniques. We will be providing from launch, a video help system that will guide you through some of the cutting edge sales funnel and marketing techniques developed and tested by some of the most effective Online Marketing Companies in the world! Hundreds of hours and thousands of dollars of research and training has gone into these proven marketing systems!